Healthcare has been a popular topic of conversation for a long time, even more so after the enactment of the Affordable Care Act (ACA) in 2010. The focus of healthcare transformation has been primarily on the side of the patient; the creation of consumer-facing mobile healthcare applications and providing patients better access to their healthcare data for example. The ACA is only one of many government healthcare initiatives that focus on patients. In 2010, the U.S. Department of Veteran Affairs launched the Blue Button Initiative (BBI). Initially created for veterans, the BBI aims to provide all patients secure access to their health records. Today, patients can download their health records from participating healthcare providers. If a website or mobile application has a blue button symbol, it means the provider is a blue button initiative participant and patients can securely access and download their health records. President Obama introduced the Precision Medicine Initiative (PMI) in his January 2015 State of the Union Address. The PMI website describes the program’s mission statement as “To enable a new era of medicine through research, technology, and policies that empower patients, researchers, and providers to work together toward development of individualized care.” The PMI promotes access to patient health data and enables patients to provide their health data for scientific research. The ACA, BBI, and other government initiatives focus primarily on the needs of the patient. Providing patients access to their health records is one of the key components of these healthcare initiatives. However, it’s not just patients who want access to health records and data. 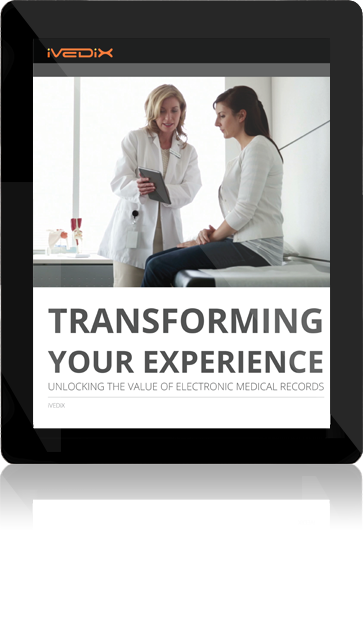 The number of physicians and other healthcare providers using EMRs has increased greatly in recent years. While the number of EMR users has been increasing, most healthcare providers find using EMRs difficult and time-consuming. Many EMRs have issues when it comes to interoperability, accessibility, and usability. These issues are problematic for physicians and the other healthcare professionals who use them. Most healthcare providers must access multiple EMRs to obtain a complete view of a patient’s medical history and health data. Many EMRs are not designed with usability in mind with physicians often having to navigate dozens of menus and pages to find the patient information they need. Many EMRs and health record systems do not allow for advanced search queries or provide the best search results. The PMI, BBI, and other government healthcare initiatives will take the time to be fully implemented and adopted. EMR interoperability, usability, and accessibility are problems many companies are addressing; however, most physicians and other healthcare providers need solutions now. Mobile solutions like iVEDiX allow healthcare providers to access multiple EMRs using one intuitive interface, retrieve a 360-degree view of their patients, quickly find specific patient information, and view advanced visualizations of patient health data.